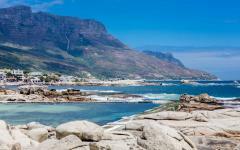 Africa's Atlantic coastline dances with fables. Table Mountain soars, sand dunes roll towards frothy waves, shipwrecks and whale bones scar the Skeleton Coast. 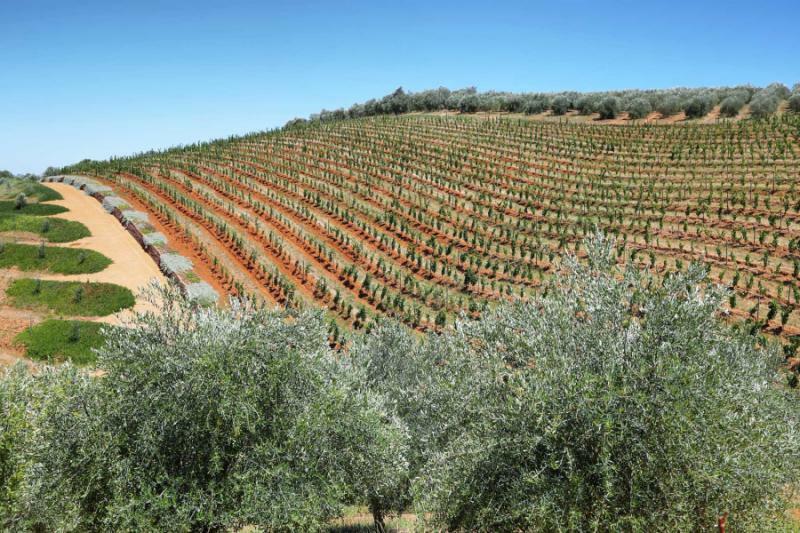 Penguins and seals bask on the beaches; flourishing vineyards occupy hidden valleys and nomadic tribes journey through the wilderness. Explore this iconic coastal beauty on a 10-day luxury tour of the Cape and Namibia, which includes opulent accommodations and four days of flying safari. 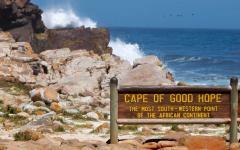 Africa's Atlantic coastline is one of wilderness and dramatic memoirs to nature. 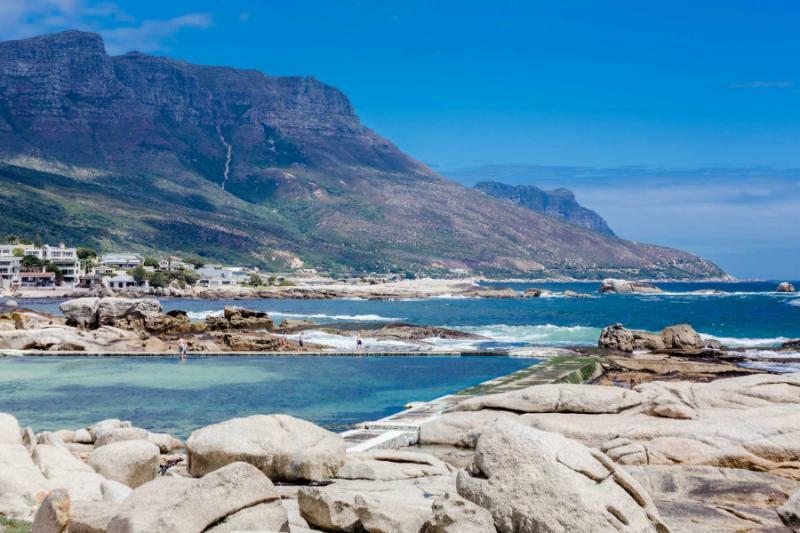 From the rugged tip of Cape Point and the vertiginous face of Table Mountain, all the way up through thousands of miles of sand dune desert and mystical panoramas, it's a coastline mostly uninterrupted by the passage of time. 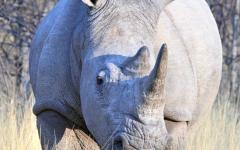 Nomadic herds continue to roam freely, penguins and seals cluster in the thousands and wild mountains stand over a kilometer above soft sandy beaches. 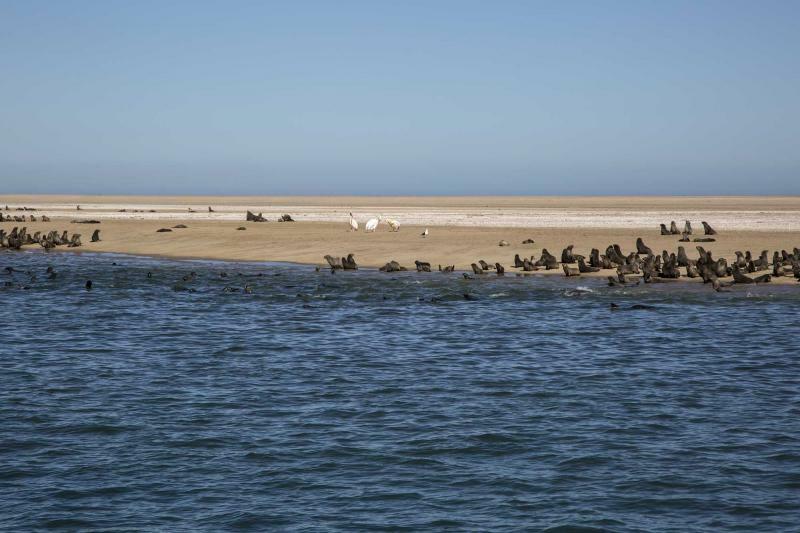 It's a coastline of drama, a seemingly endless stretch of desert and mountains that colonial explorers failed to conquer – their ships lay in the sand of the Skeleton Coast, a fitting tribute to the power of the Atlantic along Africa's southwestern coast. 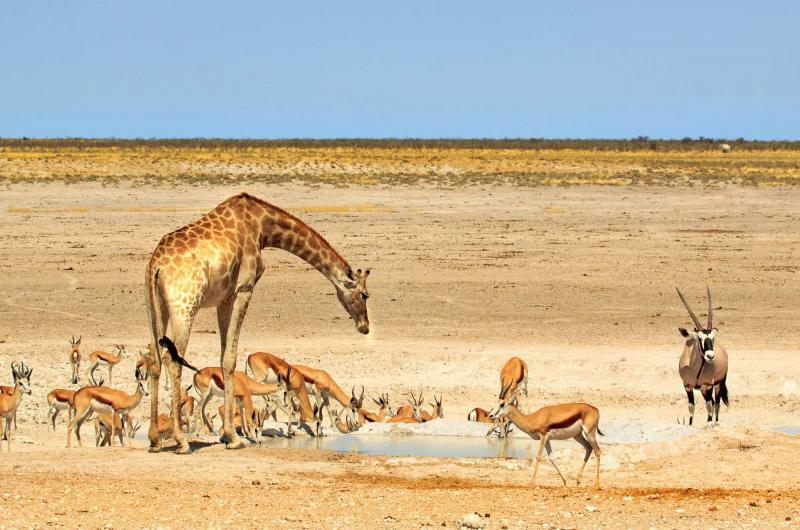 On this 10-day Namibia and South Africa tour, you explore the fables of the coastline, combining the beauty of the Cape with the pristine wilderness of deserted Namibia. Start beneath Table Mountain in the city of Cape Town. Journey down to Cape Point, stopping at the penguins of Boulders Beach before standing at the lighthouse that marks the tip of Africa. 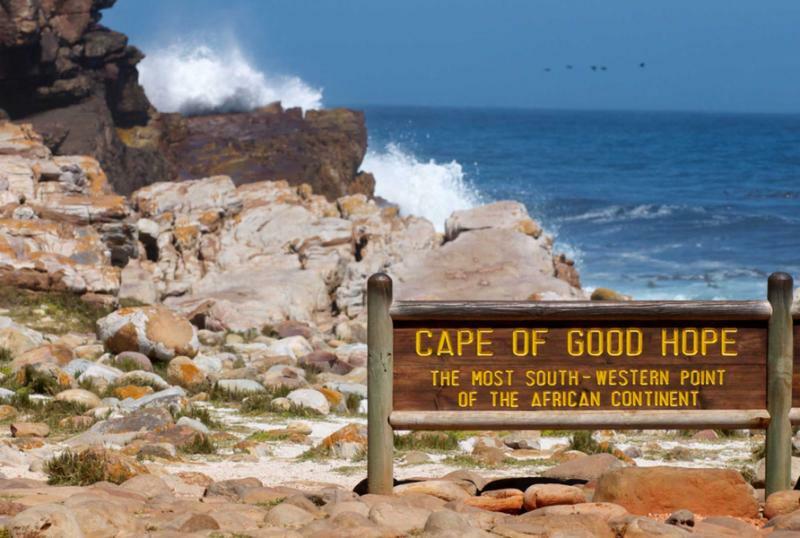 Gaze out at where the Atlantic merges with the Indian Ocean, a color change that's observed on a helicopter tour of the Cape Peninsula. After three days in Cape Town, staying at the salubrious 12 Apostles Hotel & Spa, you wind into the nearby valleys of the Cape Winelands. Two days of personalized wine tasting and gastronomy is enjoyed, with the Delaire Graff Estate providing a boutique base. Next, you fly from Cape Town to Swakopmund, where the 1250-foot Dune Seven is an inspiring introduction to the drama of Namibia's Atlantic coastline. 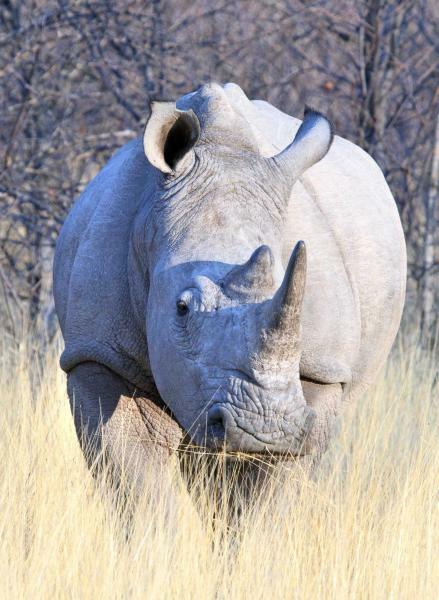 You depart for a 4-day flying safari, a pilot taking you along the coast and touching down in some of Namibia's most expressive wildernesses. Often, the places you visit can't be accessed by road. Fly across endless miles of rippling sand dunes, visit a semi-nomadic Himba tribe, find the shipwrecks and whale bones that scar the Skeleton Coast, and enjoy luxurious camps in remote riverine valleys. Every landscape is a photo and each day brings another opportunity to explore the forgotten fables of the Atlantic. Every sunset is unique. 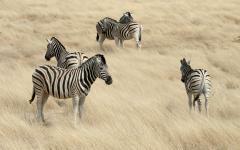 In Cape Town, the bands of color flow long and thin, as if painted in perfect horizontal lines. First a luminous yellow, then a flamboyant orange, finally a crimson tone as the horizon meets the blue of the Atlantic Ocean. Your balcony at the 12 Apostles Hotel & Spa offers the perfect vantage point and each day culminates in these lines that seemingly linger for hours. Turn around and another remarkable fable dominates, that of the Table Mountain Chain rising vertically from the waves. This five-star hotel is nestled on virtually the only space in between, a raised platform that divides the icons. After landing at Cape Town International Airport, you'll be greeted and transferred to the 12 Apostles, acclaimed as one of the country's finest five-star hotels. Just sit back, relax on the verandah, and absorb the first beautiful impressions of Africa's Atlantic coastline. From the 12 Apostles, a dramatic road winds south, carved into the mountain face, rising across a string of peaks, passes, and beaches. It descends into charming fishing villages, where boats lull besides the antics of fur seals, then across wide sandy beaches framed by the curling waves. Keep going, onto a small beach where jackass penguin dance their peculiar waddle and return from the ocean with fish for their small chicks. This is one of Africa's most thrilling roads, the mountain chain above your head and the ocean extending beneath the wheels. 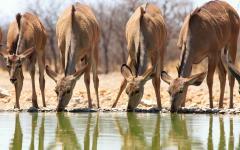 A guide leads you on the journey, roving south across plains that are dappled with springbok or other wild South African antelope. As you travel to the end of Africa, you stop at a lighthouse, then wander on foot along the final spine of the mountains, a kilometer-long journey to the very tip of the continent. Staying at the 12 Apostles is perfect for this tour as you're an hour or so ahead of other tourists making a similar day trip from Cape Town. 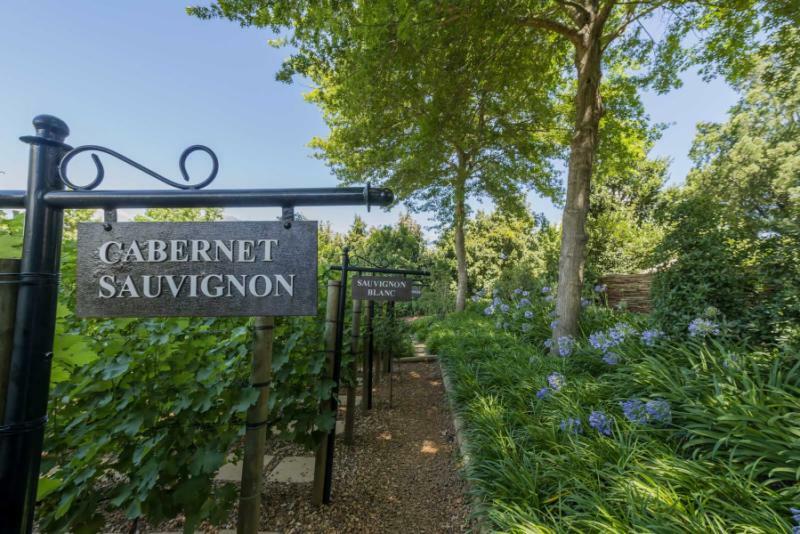 After the peninsula, you stop at a celebrated seafood restaurant for lunch, then return via the back routes of Table Mountain, with the chance to stop at a vineyard in Constantia. Jagged peaks rising like the tail of a prehistoric lizard, oceans colliding in clashes of color, urban developments nestled into mountainous folds; today is all about vistas, about gazing down on the natural wonders of the peninsula. 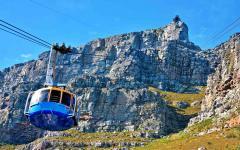 It starts from the summit of Table Mountain, the cable car ascent followed by a short walking trail for 360-degree views. Then it continues from a helicopter window, the chopper departing from the V & A Waterfront and soaring above the peninsula you explored from the ground yesterday. The aerial journey offers Cape Town's most exquisite panorama; that of the city, the coast, and Table Mountain, all side by side in their peculiar harmony. After following the Atlantic Coast, the 24-minute flight soars over Tokai Forest to False Bay, providing views of where the Atlantic and Pacific oceans meet, before cruising back to the back face of Table Mountain. 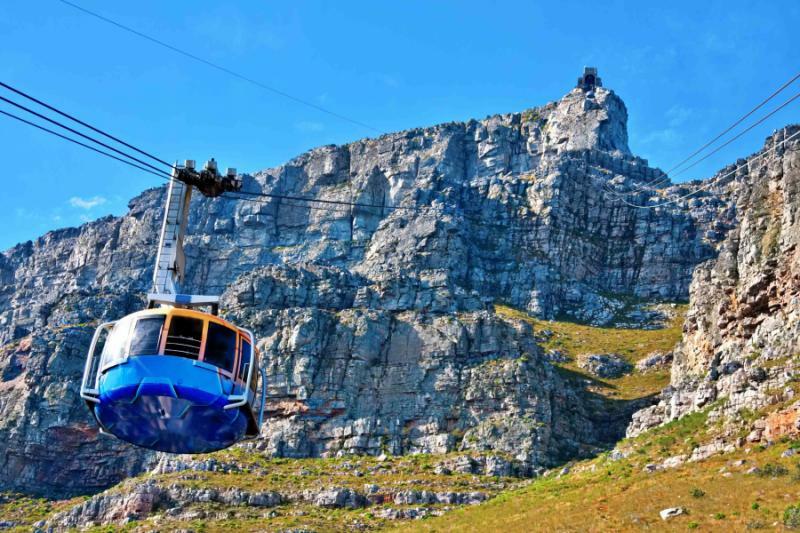 You land in the early afternoon and the rest of the day is at your leisure – a Cape Town hop-on-hop-off bus ticket is included with the helicopter flight and makes an easy way to explore other parts of the city. While the Atlantic waves are high and rough, the valleys that lead inland are calm and charming. 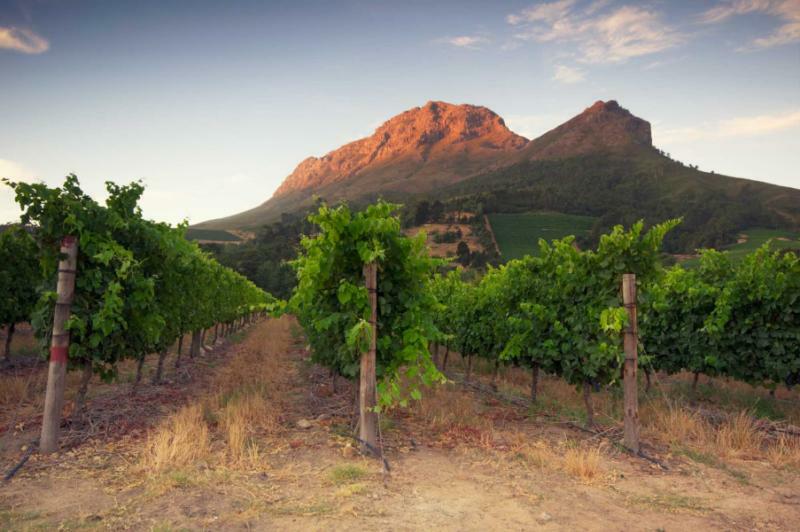 Less than an hour east of Cape Town, the stark mountain slopes are replaced by sweeping stretches of vines and wine estates. The sweeps of green are punctuated by craggy rocks that rise just as dramatically as Table Mountain. This is South Africa's main wine producing region and the one that has brought it worldwide viticulture acclaim. Arrive at the Delaire Graff Estate and explore the tasting menu, from a light and brisk Chenin Blanc to two types of Pinotage, South Africa's local varietal grape. Full-bodied yet exceptionally nuanced and tinged with delicate sweetness, exploring different Pinotages is likely to be high on the itinerary over the next two days. You have a private local guide for these two days, who customizes the experience according to your personal tastes. Enjoy exclusive access to historic cellars, where private tasting uncovers boutique bottles from the region. Combine wine tasting with traditional cured meat – known as biltong – like a Shiraz paired with kudu and a Bordeaux blend sampled alongside ostrich meat. Stop for lunch at some of South Africa's most revered gastronomic venues, either wine estates or celebrated restaurants in the town of Franschhoek. 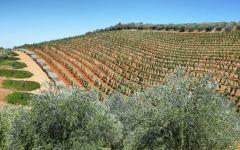 You'll be guided around estates by the winegrowers and introduced to a whole host of flavors to suit your palate. Delaire Graff is one of the region's finest estates, both for its wine and opulent accommodation. Depart from Cape Town on a scheduled flight to Walvis Bay, where it's a 45-minute transfer to the colonial coastal town of Swakopmund. Another natural icon rises high, that of Dune Seven, which the local authorities believe to be the highest sand dune on the planet. Rising over 1250 feet, it's a phenomenal expanse of scorched red and an introduction to the glorious scale of Namibia's Atlantic coastline. You'll be guided out here in the late afternoon, where you can drive an ATV all the way to the summit. The desert extends from here, with rippling sand dunes blurring into the mist that comes off the waves. Swakopmund feels a little like Germany with palm trees, the colonial buildings frozen in time as they narrate a tale of the early 20th century. It's a quaint place to spend a relaxed evening and your hotel is located in a building from 1905. For the next four days, you explore the Atlantic Coastline on a flying safari, traveling in a light aircraft that is expertly piloted across the wilderness. You touch down in remote destinations that are mostly inaccessible by road, savoring one of the planet's most untouched realms. 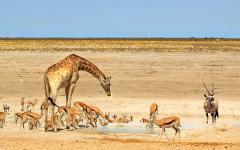 Namibia was one of the last African landscapes to be colonized. Explorers landing on the coast found a barrier of monumental sand dunes and didn't go further. 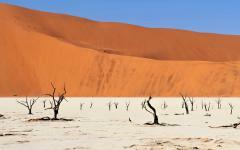 Still more got stranded, eaten up by the dunes along a stretch known as the Skeleton Coast. They weren't the only giants here; many whale bones suggest that the coast has been claiming its victims for millions of years. Today's exploration starts by flying south, across the reddest of the dunes found in the Namib Desert. Follow the lines as the sand stretches beneath the wingtips, watching how it continues uninterrupted to the Atlantic Ocean. 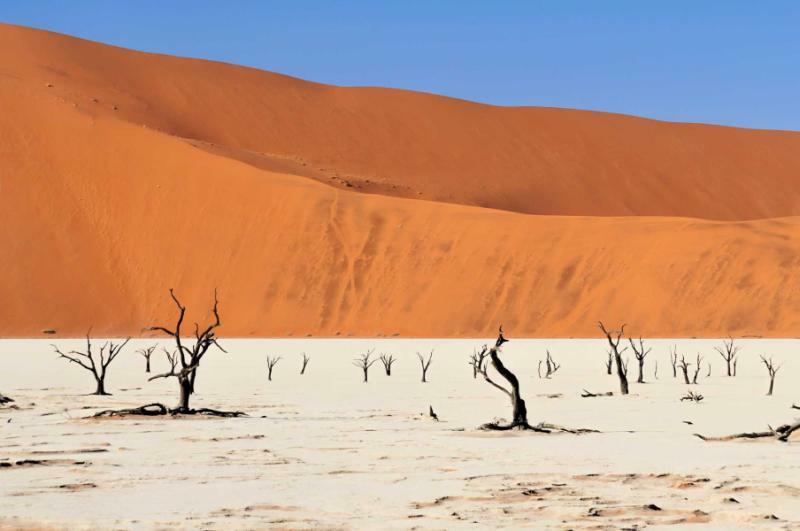 Touch down near Sossusvlei and Deadvlei, where scorched trees provide a dramatic counterpoint to the rings of 1000-foot high dunes. 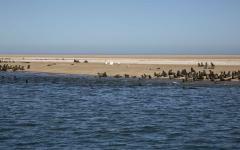 Then cruise north, flying along the coast to Cape Cross, where squarks and smells guide you to a phenomenal seal colony. Tens of thousands of seals flop across the beach, with thousands more waddling off into the waters. Return to the air and cross the desert, gazing down on a lunar landscape of white desert and jagged black ridges. Heading deep into the Namibian wilderness, you touch down at a camp in the remote Huab River Valley, where mystical rock paintings line the caves and rocks close to the camp. Surreal stretches of red lava and yellow sandstone grace the banks of the Huab River, each terraced line an evocation of the landscape's age. Native plants also mark the desert here, like Welwitschia mirabilis, a sturdy green creation bursting from the sand. Explore this area by foot in the cool morning hours before continuing the aerial safari just after lunch, flying first to Terrace Bay and visiting the shipwrecks of Montrose and Henrietta by Landrover. Masts and hulls are half buried by the marauding sand, the faded wood contrasting pebbles of granite and quartz discovered on a nearby beach. Also nearby, bleached whale bones stand above the high tide mark, further poignant memoirs to the coast's history. Later in the afternoon, you ascend for a second time, flying north to a remote and luxurious camp in the Hoarusib Valley. With their faces painted with clay and red ochre, the Himba people of Northern Namibia provide a revered image of ancient tribal Africa. Isolated and semi-nomadic, they are some of the last bastions of the continent's most traditional lifestyles. Living in small mud and clay huts, they dress in leathers and maintain a long history of harmony with the desert environment. Access to these communities is strictly controlled and this morning you have a rare opportunity to visit a small settlement and spend time with the Himba people. Another photogenic local is the elephant, and you may spot wild pachyderms in the valley. Later in the morning, you fly north along the Skeleton Coast, rising across an array of shipwrecks that rise hypnotically from the dunes. Continue to the Kunene River, which marks the border with Angola, and find a place of solace in a mostly unexplored part of Africa. 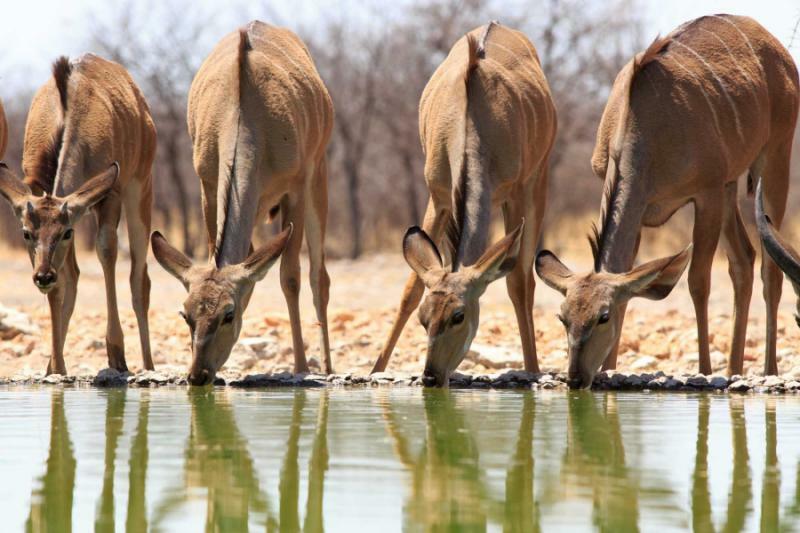 In the afternoon, you drive through the Hartmann Valley, winding along the Namibia-Angola border to a beautiful camp in the midst of nowhere. Birdsong occasionally interrupts the silence, and there's a feeling of being as isolated and untouched as the Himba tribe. The aerial safari is completed with a flight along the eastern fringes of the sand. For three days, you've flown along the coast, so today you swoop inland, with the dunes rising on one side and an arid savannah stretching to the other. 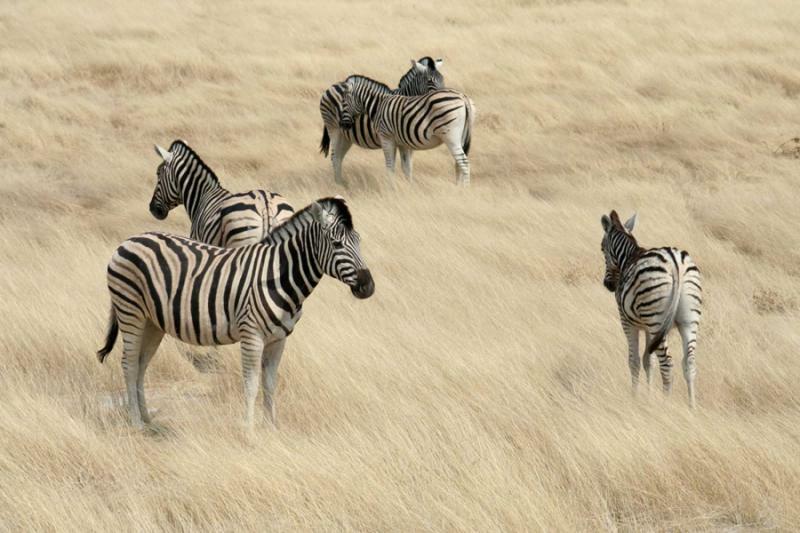 There's a sense of how Namibia seems to extend for eternity, its kaleidoscopic colors rolling out towards the Kalahari, another of Southern Africa's icons. Touch down at Eros Airport in Windhoek, where you're transferred to Hosea Kutako International Airport and your international departure back to Europe.